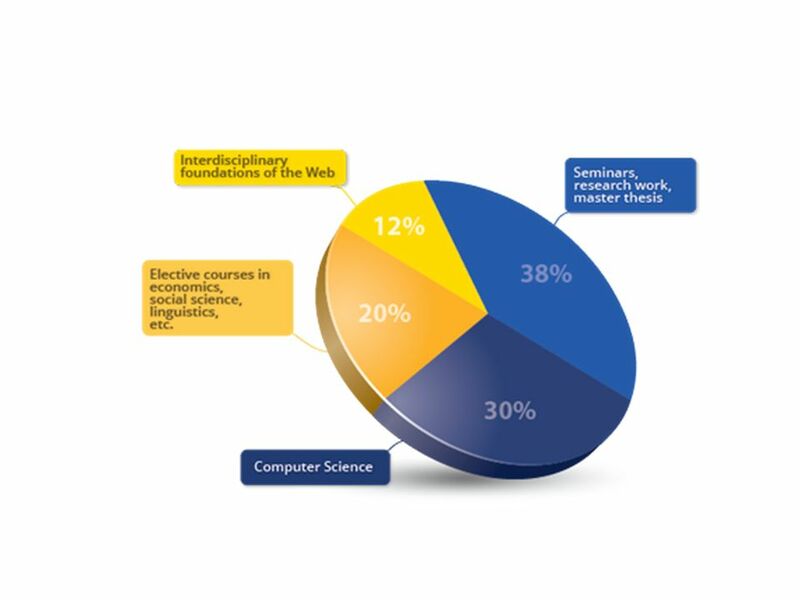 Master in Web Science Shape the Web of Tomorrow!. 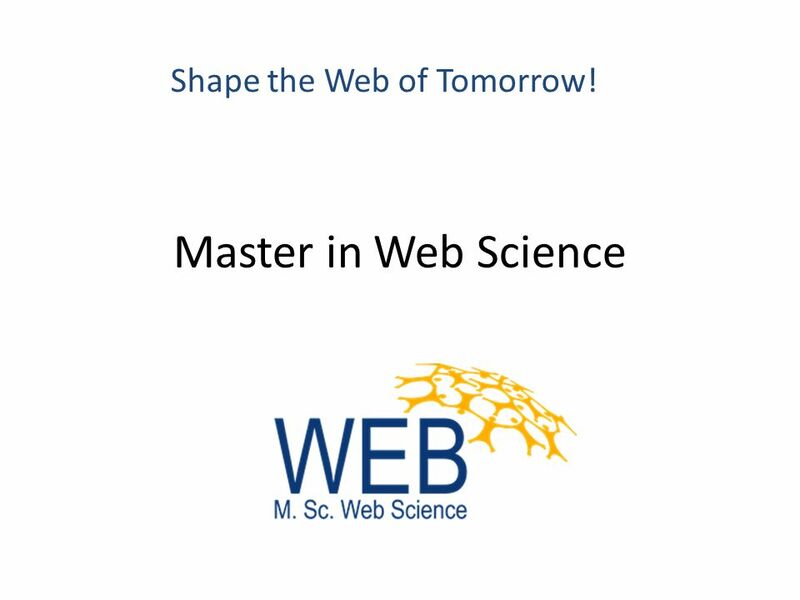 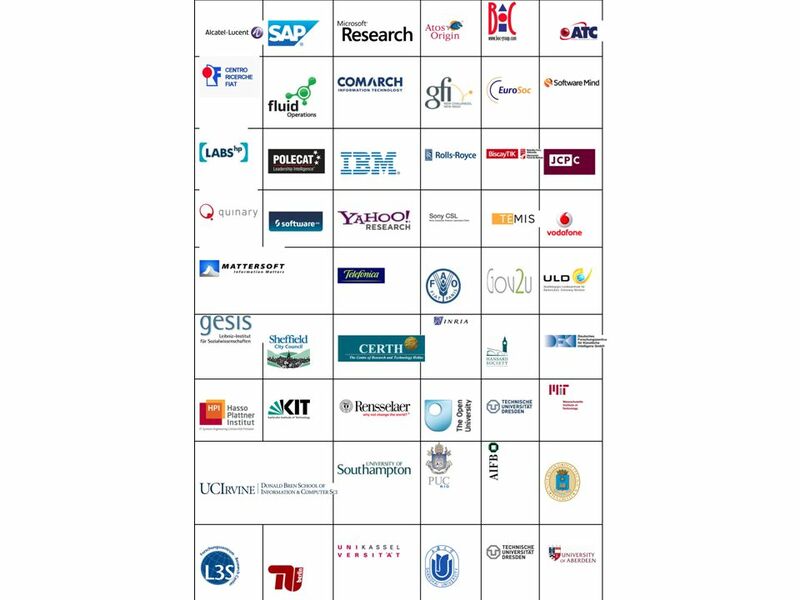 1 Master in Web Science Shape the Web of Tomorrow! 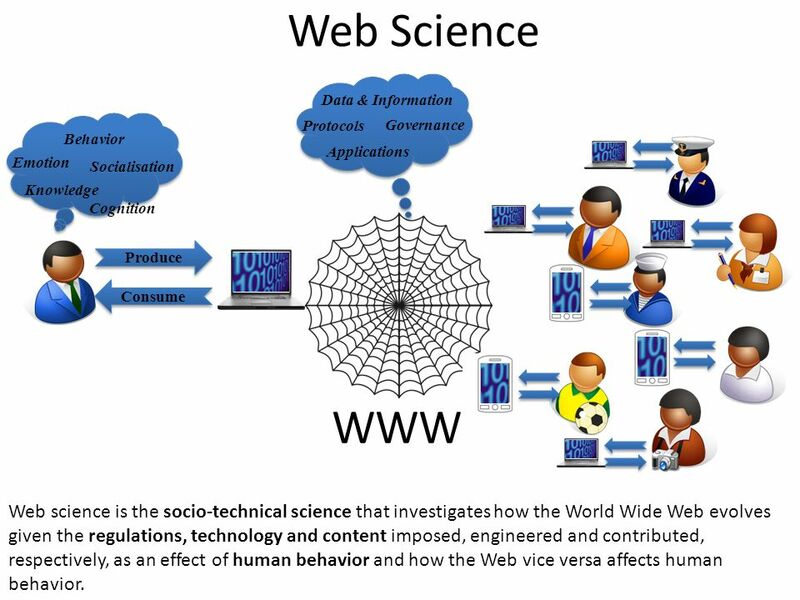 2 Produce Consume Cognition Emotion Behavior Socialisation Knowledge Applications Protocols Data & Information Governance WWW Web Science Web science is the socio-technical science that investigates how the World Wide Web evolves given the regulations, technology and content imposed, engineered and contributed, respectively, as an effect of human behavior and how the Web vice versa affects human behavior. 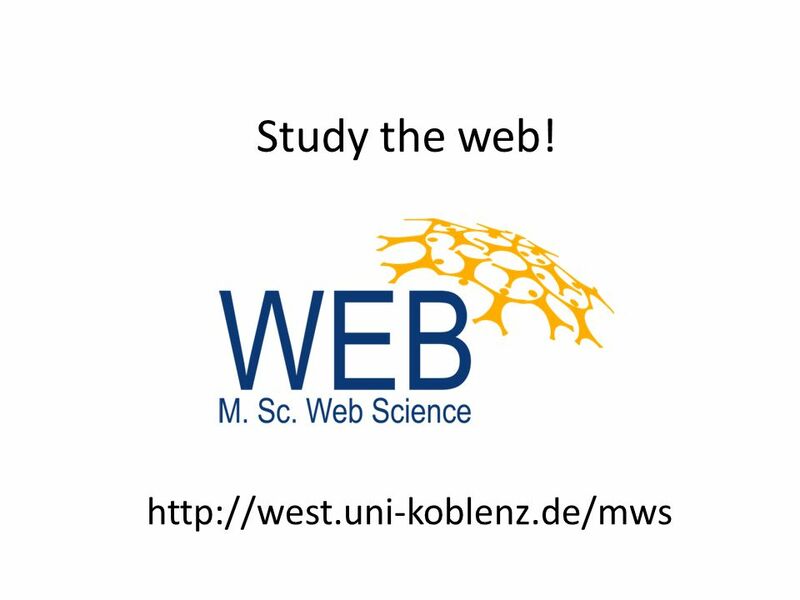 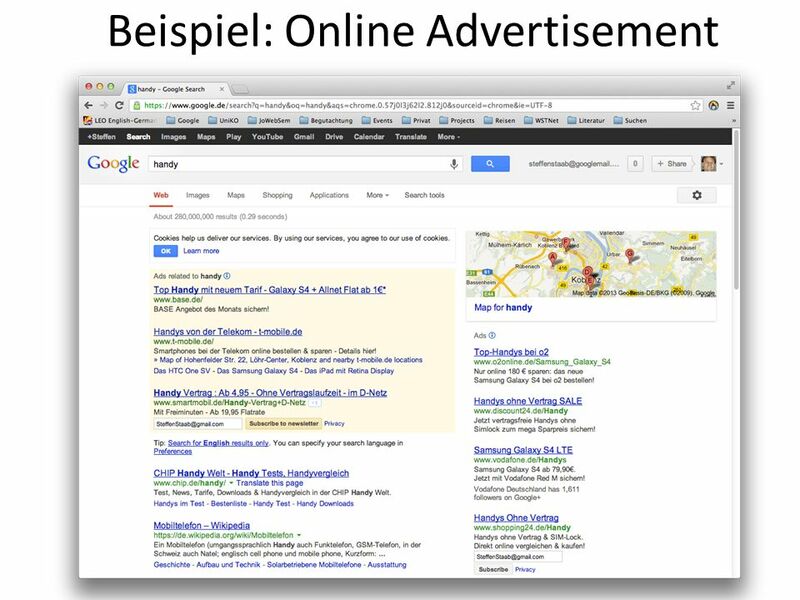 9 http://west.uni-koblenz.de/mws Study the web! 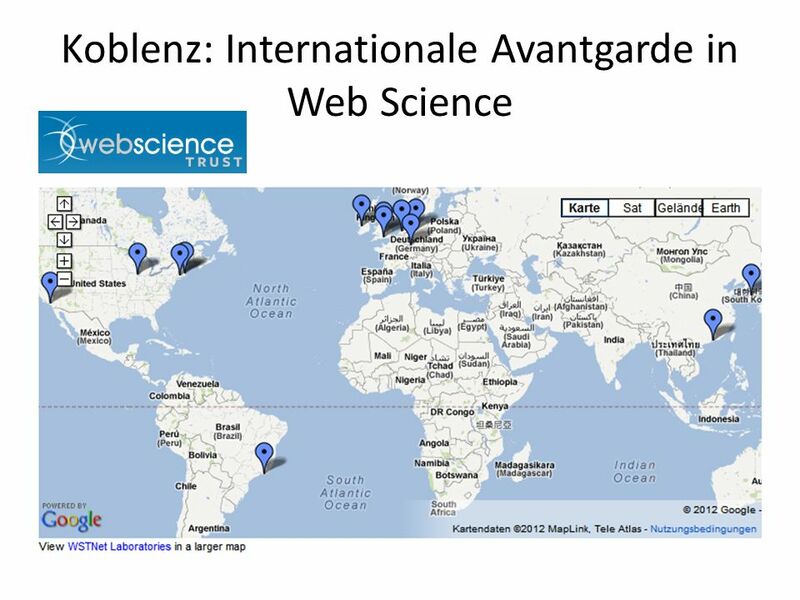 Herunterladen ppt "Master in Web Science Shape the Web of Tomorrow!." 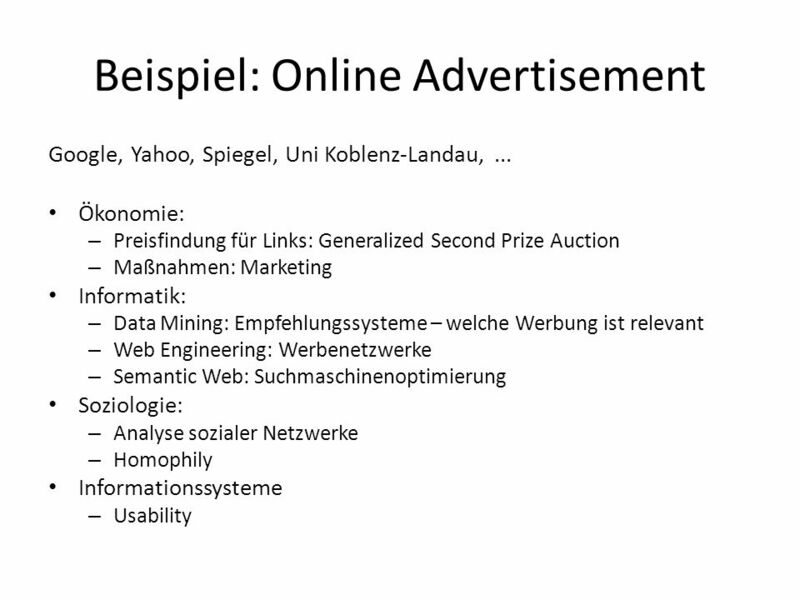 1 Materialrecherche im Internet PS: Wirtschafts- und Sozialgeschichte des Autos SoSe 2002 Uwe Fraunholz. 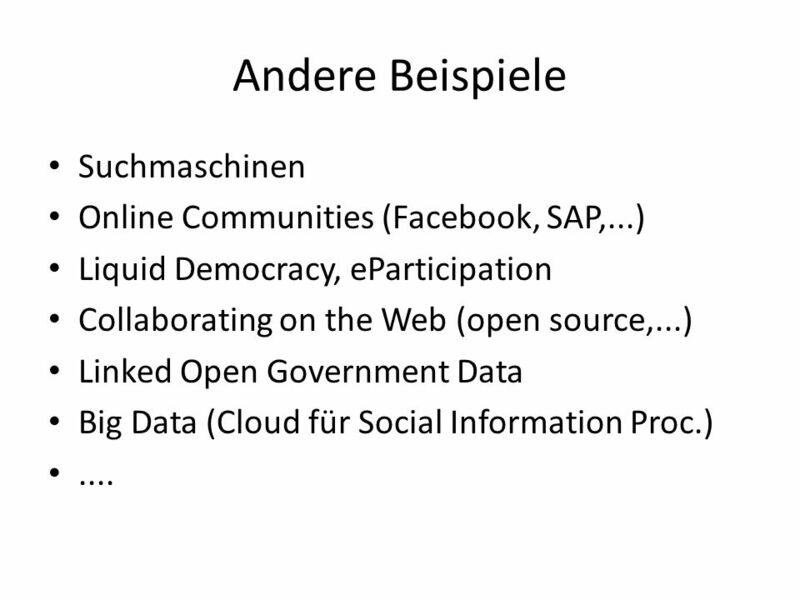 Studentische Arbeiten im Social Web Aktuelle Nutzung und Anforderungen für die Nutzung Klaus Tochtermann Seite 1.